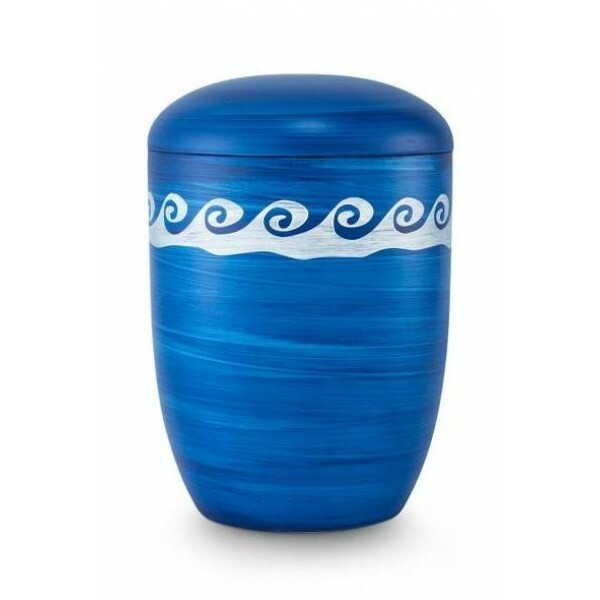 This hand-painted blue biodegradable urn is made from a water-soluble material, designed for depositing ashes in the sea. This urn represents the gentle waves of the sea leaving traces, as does the waves of life. They stand for change and the afterlife.